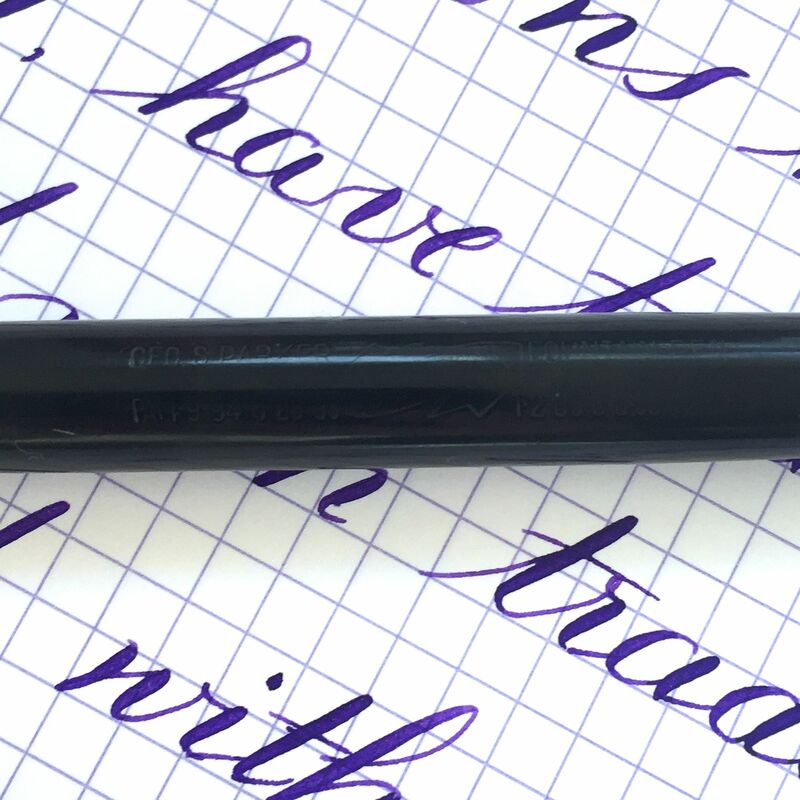 Here is a black hard rubber Parker Lucky Curve. The hard rubber is still very black with little fading. The imprints are mostly readable though worn. The gold filled clip is in good condition with no brassing that I can see. The 14kt. 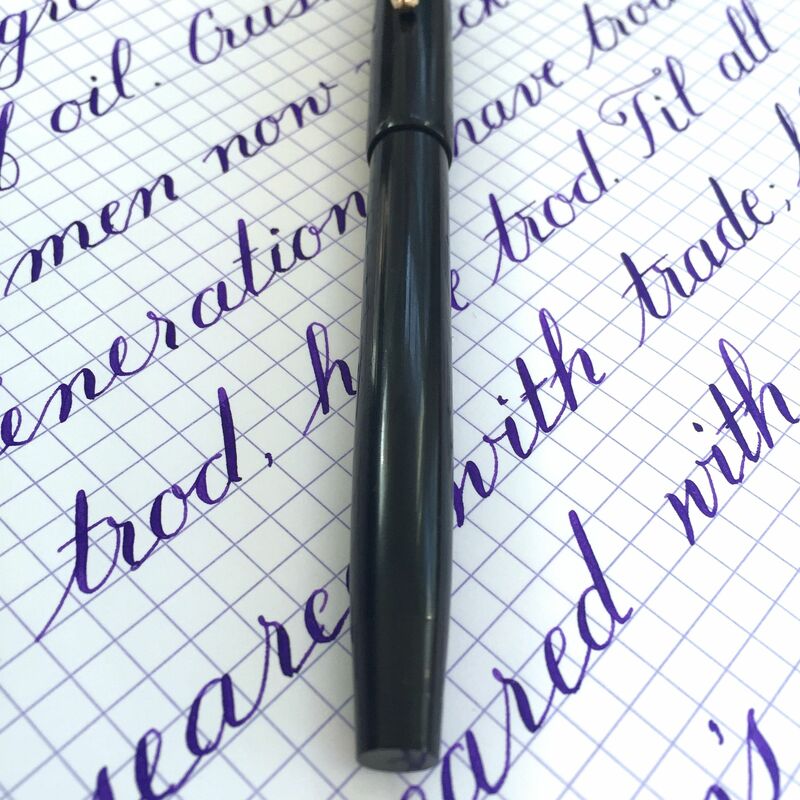 Parker nib is a wet writing F. It’s a really nice and smooth writer. 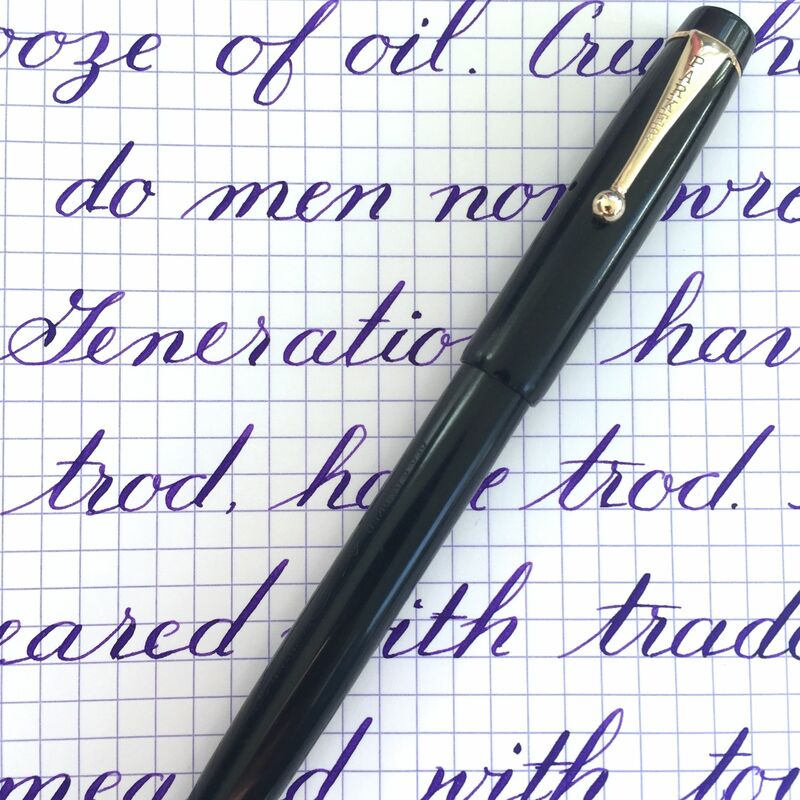 The nib has some flex going up to 1.2mm. 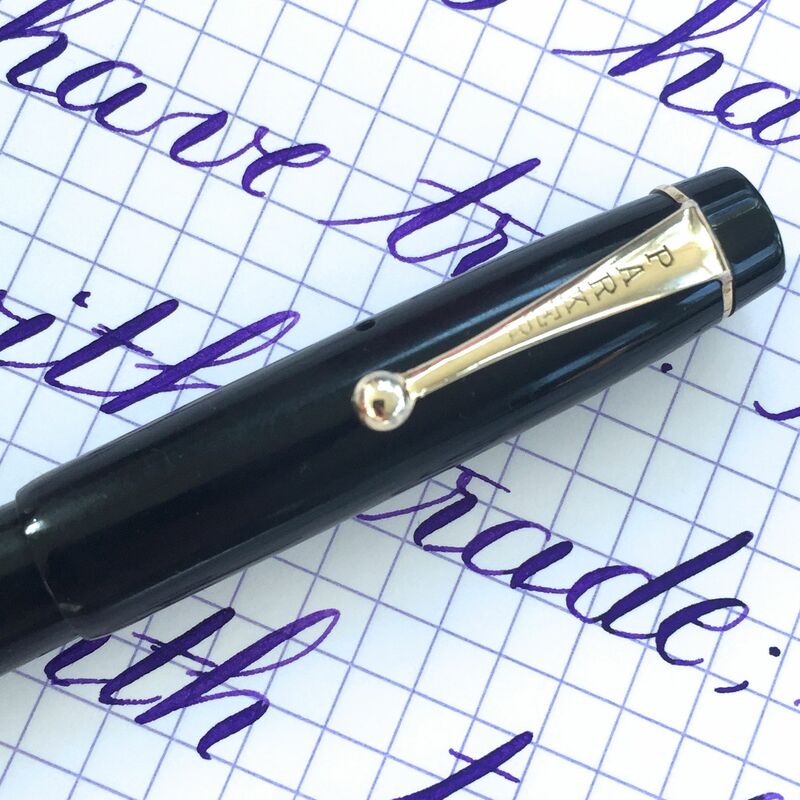 I graded it as a medium flex, but many would call this a semi-flex. 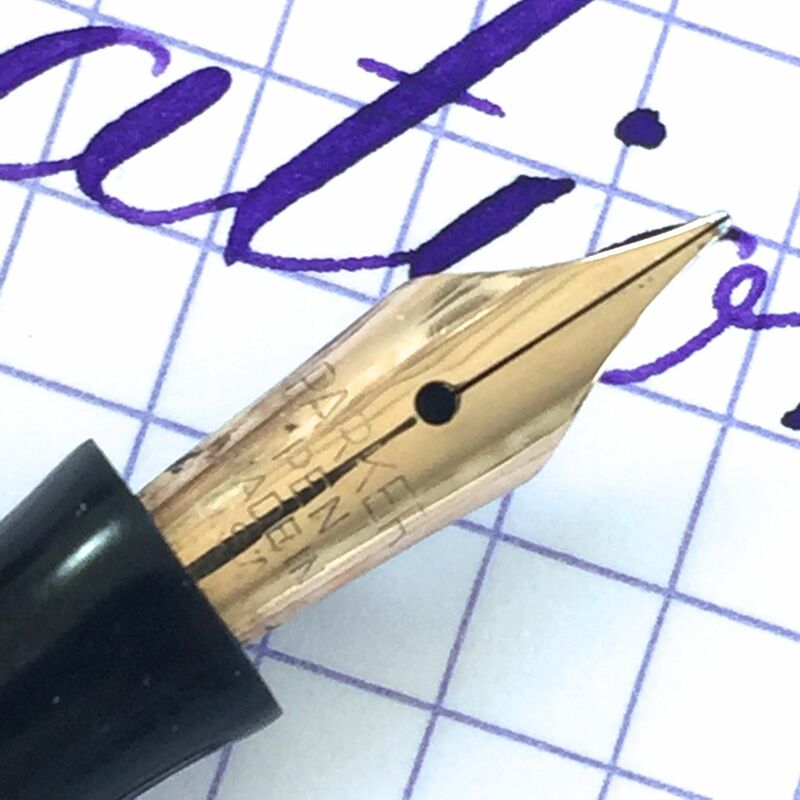 It’s a little softer than most semi-flexes, but I have no problem calling it a semi-flex nib. 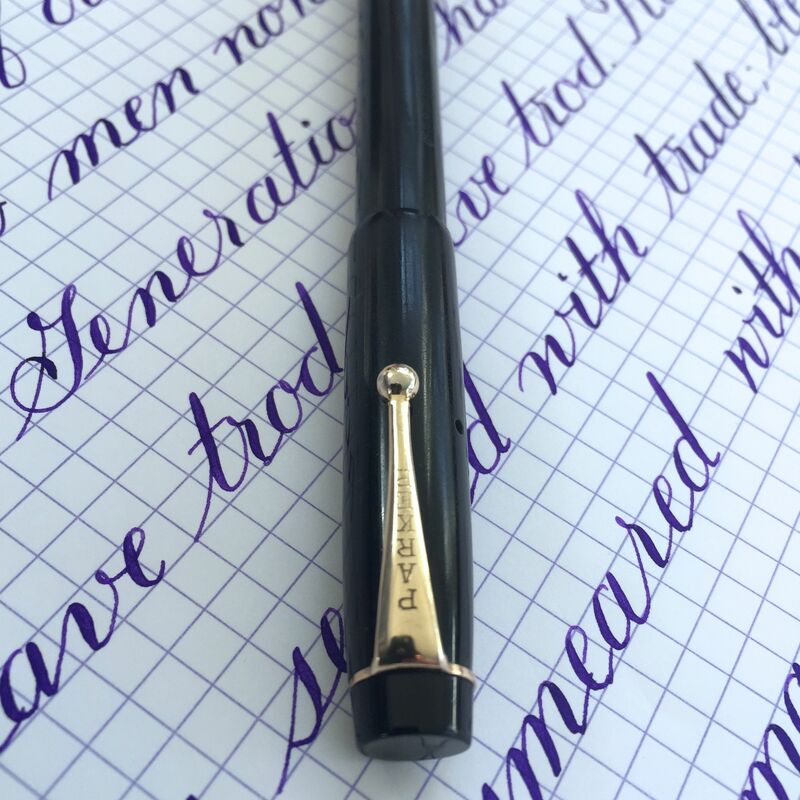 It’s a nice looking pen in good condition and with great writing nib.